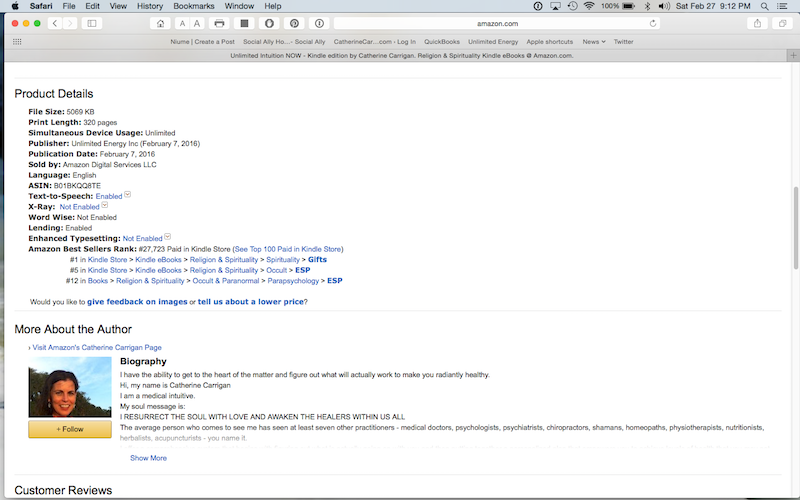 Many thanks for making Unlimited Intuition Now my fourth Amazon No. 1 best seller. This book summarizes how I receive information as a medical intuitive healer and teaches you how to develop your own psychic gifts to the best of your personal ability. My friend and personal hero Maxine Taylor, who has written not just one but seven Amazon No. 1 best sellers. Maxine inspires me to write my heart out! She has given me the greatest role model of what it means to be a successful author in 2016 – kind, generous and positively focused on serving for the greatest good of all. 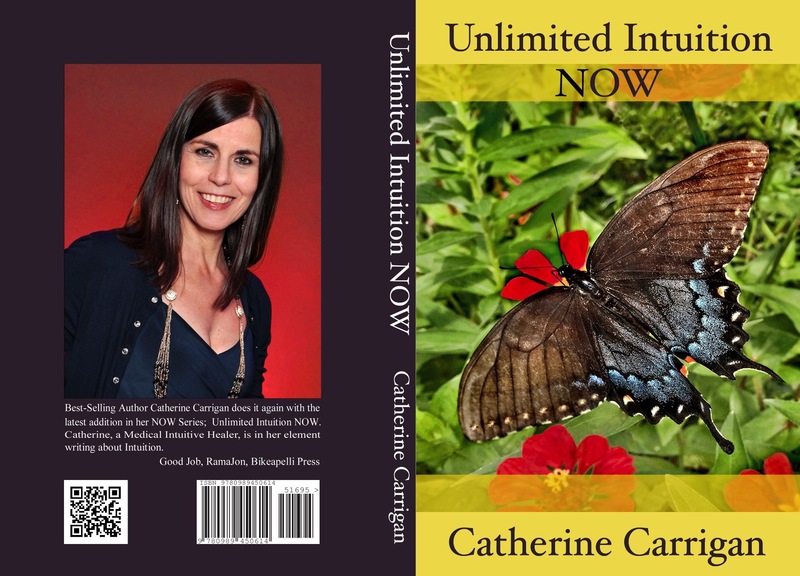 I started writing Unlimited Intuition Now in the summer of 2015 and concluded the writing in December. A friend and I went to lunch recently and he asked me if I needed to do any research to write this book. This is a subject near and dear to my heart because I believe it’s vitally important that we all learn how to receive messages at the soul level. No matter how smart we are, how educated we have become on any given subject, how much research we do or how many opinions we ask of others, there is simply a limit to what our ego minds can know. Thank you for all your love support, reading of my books and listening to my audiobooks. 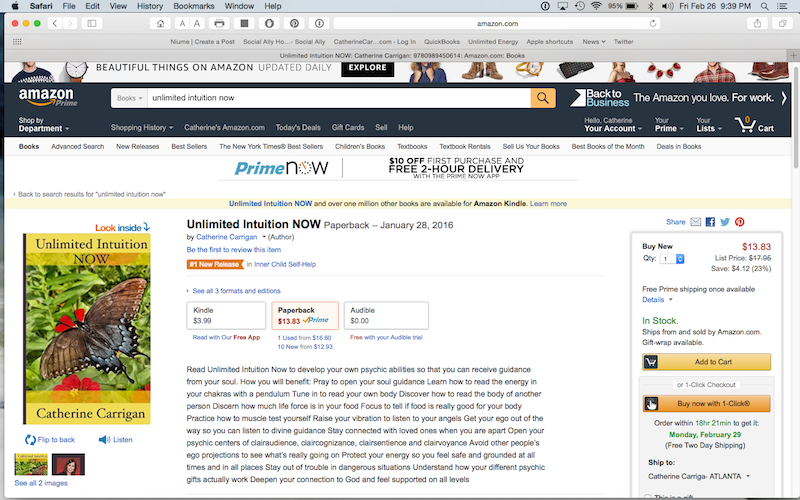 I pray you enjoy Unlimited Intuition Now as much as I did writing it!